Nestled mountainside overlooking the City of Scranton, PA, enjoy the convenience of being nearby major highways & byways, within minutes of everywhere you want to be. Major employers and universities like Marywood College and Penn State Worthington Scranton will be very close to home. Enjoy a night out at Mohegan Sun Area for a Wilkes-Barre/Scranton Penguins game or a weekend staycation at Montage Mountain. 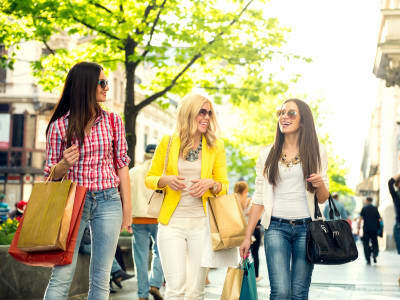 Indulge your shopping fantasies at The Viewmont and The Steamtown malls, then pick up dinner at Wegman's on the way home. When you're in the mood to hang up your apron, toast to the weekend at TGI Friday's or savor pasta al dente at Olive Garden. The local area has something for everyone, from the world-class Mohegan Sun Casino known for their gaming, spa and nightlife, to the natural splendors of Steamtown National Historic Site for the outdoor enthusiasts. We can't wait to introduce you to your new neighborhood. Call to schedule a tour, and move closer to a beautiful one, two or three bedroom apartment in Scranton, PA.